Recently a “Spanish art collective Luzinterruptus brought “Literature versus Traffic,” an installation of 10,000 LED-lit books, to Federation Square in Melbourne for The Light In Winter festival. The books, recently retired from area public libraries, were given a second life as a glowing river that flowed through the square and into a nearby street. 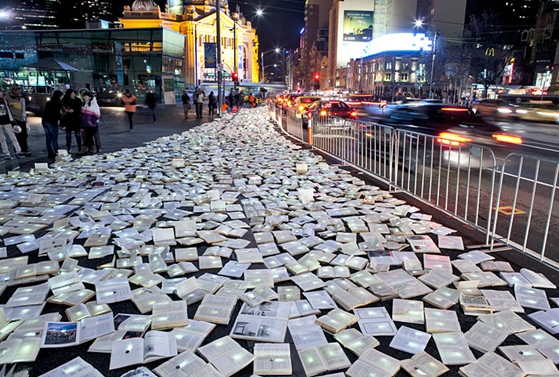 On the final day of the installation, onlookers were invited to take the books home."